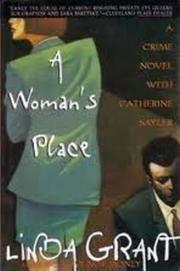  Gone undercover on the track of a persistent sexual harasser threatening the few mid-level women at the computer firm Systech, San Francisco corporate-security specialist Catherine Sayler (Love Nor Money, 1991, etc.) soon finds that (1) anti-female sentiment at Systech goes a lot deeper than the resentments of KeeGo, the manly, higher-tech concern Systech's just gobbled up; (2) whoever is making the Systech wires hum with scary words and pictures is a genuine sicko who won't stop at murder; and (3) she's become the sicko's latest pin-up girl. Catherine fixes on abusive hunk Scott Jorgenson (VP/Sales) as the likely inside man in a robbery scheme she's gotten wind of, and a stakeout nets another thief who obligingly implicates Jorgenson, but is the inside man necessarily the killer? And when Jorgenson, out on bail, disappears from his boat, should Catherine be relieved or terrified? Genuinely sensitive on the ways ordinary sexist pranks foster the power of psychotic victimizers. Otherwise: minimal detection, illogical plotting, and a vanilla psycho as featureless as Catherine herself.